Welcome to Dye's Piano Service, the experts in piano tuning, repairs, regulation and voicing, climate control installation, evaluations and appraisals to homes, concert halls, churches, schools, and others in Frederick, MD, Washington, D.C., Baltimore, MD, Northern Virginia, Eastern Panhandle of West Virginia and other surrounding areas. come Dye's Piano Service will gladly keep your piano sounding its best. Among the purest, most beautiful sounds there is, is the sound of a perfectly tuned piano. Songs played on a piano reaches out to you and soothes the soul. It lifts up your tired spirits and simply, effortlessly shows that there is still so much beauty in the world. If you're looking for piano tuning Frederick MD residents trust for all their tuning and repair needs, Dye's Piano Service is the name you should remember. Backed by over 25 years of knowledge and experience in music industry, we are the service you can count on to provide expert piano tuning, repairs, voicing and other services. Here at Dye's Piano Service, you get nothing but the best services from someone who is an actual piano expert, having spent over two decades as Choir Director, Orchestra Director, Band Director, Piano Teacher and a professional percussionist/pianist. 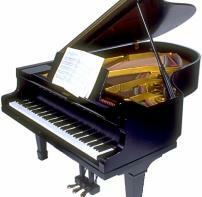 Here at Dye's Piano Service, we give prompt, professional service at competitive prices with outstanding quality. We are available for service requests any day of the week. We even have evening and weekend times available, depending on availability. We understand the value of a perfectly tuned and maintained piano. We know for a fact that the piano forms part of a family's treasured possessions, with most handed down from generation to generation. We, at Dye's piano tuning Washington DC are here to make certain that your piano stays in tip-top shape and sounds its best at all times. Call us today and schedule your appointment with us and start benefiting from the expert piano repair Washington DC folks love!